The elevation of Tata lifer N Chandrasekaran as chairman of India's most revered corporate group—the $103-billion salt-to-software conglomerate Tata Sons—begs the much-debated question: Does one's college pedigree matter? Corner offices at top business houses, both in India and abroad, are usually occupied by alumni of global business schools and leading engineering colleges. But Chandra, or Chandrasekaran as he is popularly known, does not have a Wharton, Stanford or Harvard on his rÃ©sumÃ©. Neither did he attend an IIT or IIM. Chandra joined TCS with seemingly run-of-the-mill degrees—a BSc in applied science and an MCA from non-metro centres in Tamil Nadu. But driven by his relentless pursuit for excellence and an unflinching loyalty, he rose through the ranks to assume the top-most position in Tata group. In that sense, Chandra is not only the first non-Parsi to run the traditionally family-controlled Tata establishment, but a rare CEO too—without engineering and management degrees from prestigious institutions. Some of his peers in the corporate world do have strong institutional pedigrees. ITC chairman YC Deveshwar is from IIT Delhi, Infosys chief Vishal Sikka is a Stanford University alumnus and Pawan Goenka, who was recently elevated as managing director of Mahindra & Mahindra, holds an engineering degree from IIT Kanpur and a PhD from Cornell University. A prestigious degree is, indeed, a big push in business but not a must, and Chandra's illustrious career is a case in point. But he is not alone—keeping him company are several entrepreneurs from the startup world who have built successful businesses from scratch despite modest college education. To be sure, a strong college network that an IIT or IIM arms one with definitely helps and so does the quality of education imparted. But just like Chandra's tenacious run to the top, these examples put to rest the myth that if you don't have a fancy degree from an Ivy League-sque institution, you can't make it big. He was born in Aligarh, a small town in Uttar Pradesh, and studied in a Hindi medium school. He got his engineering degree from a Tier 2 college under University of Delhi. 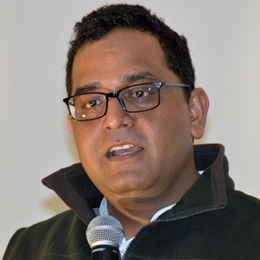 Now, at 37, Vijay Shekhar Sharma owns a billion-dollar company—in startup lingo, a unicorn. "I had days when I didn't have money for dinner. Let's say having two cups of tea was a perk for me. I couldn't take the bus so I walked to save Rs 10," he had told NDTV in an interview in 2015. He learnt English, reportedly, using old dictionaries and second-hand magazines. "There was no way I could have gone (to a big league college). I remember the IIM fee was Rs 2,30,000. So this was the underdog moment for me, I said, one day I will be worth enough to hire these people," he said during the NDTV interview. His digital wallet firm Paytm, started in the year 2010, is now valued at $4.8 billion. Paytm has raised close to $740 million from various investors including China's e-commerce behemoth Alibaba. In 2015, the Chinese giant poured in $680 million into Sharma's firm. Last year, Sharma was awarded the Honoris Causa Doctorate of Sciences (D.Sc.) from Amity University. At the convocation ceremony, Sharma told the gathering, "I come from a Hindi medium school and engineering college was like a Taare Zameen Par (a Hindi movie on dyslexia) moment for me, where the teacher is teaching and for the student the alphabets (sic) are flying in the sky." Fresh out of a Nagpur engineering college in 2000, Sharma co-founded Micromax Informatics, now the largest home-grown mobile handset manufacturer, which has expanded into other niches of consumer electronics. 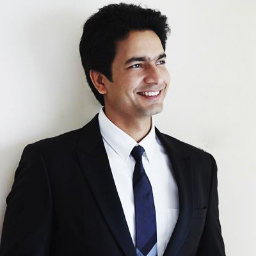 Micromax is a profitable company with around Rs 10,000-crore revenue and is valued at $3-5 billion. The son of a school principal, Sharma introduced himself as a "middle-class boy" in media interviews in the past. Despite recent challenges such as tough competition from Chinese smartphone makers, Micromax is working on product diversification and overseas expansion projects. It also has plans to start manufacturing phones in India. In spite of the fact that a $1-billion fund infusion from Alibaba did not materialise, its IPO plan got deferred and revenue growth slowed, Micromax has quietly weathered the challenges, focussing on sprucing up its 4G phone business. A famous anecdote about Sharma goes that he once walked 14 kilometres to attend a rock concert when he was 15, as he could not afford cabs, India Today had reported. Sharma does have an additional degree in commerce from University of Saskatchewan, Canada. "I am the most unusual founder in the technology world. I am not an engineer. I am actually a guy who holds a degree in philosophy. It is funny and it doesn't make sense." These are the words, spoken at a public event, by Kunal Shah—cofounder and chairman of digital payments company FreeCharge. At INK Talks conference, he continued to say, "That is what got me to a stage of thinking how can somebody, who is not as smart as the other people who exist in the field, can create wealthâ€¦that is where philosophy kicked in." When these words come from someone who sold his company for a whopping $450 million, the largest e-commerce M&A deal in India at the time, you've got to take them seriously. 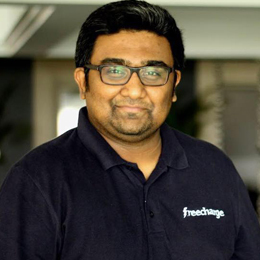 Shah started FreeCharge in August 2010 with Sandeep Tandon and sold it to online marketplace Snapdeal five years later, growing his net worth manifold. Shah is a bachelor of arts in philosophy from Mumbai's Wilson College, and he started working at 16. Even though he tried pursuing an MBA from Narsee Monjee Institute of Management Studies (NMIMS), he dropped out. His perseverance seems to have worked wonders for him. In a story published in The Economic Times in 2015, Tandon had said, "Kunal is like the Duracell bunny. He never gets tired." 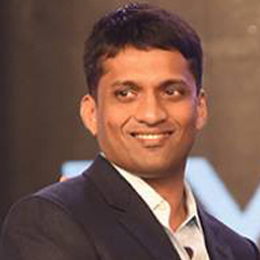 Bangalore-based ed-tech startup Byju's was recently in news for raising $50 million (Rs 332 crore) in a round co-led by Chan Zuckerberg Initiative (CZI), marking the first investment of the philanthropic foundation by Facebook founder Mark Zuckerberg and wife Priscilla Chan in Asia. Although Byju's never confirmed the numbers, the funding is said to have valued the company at close to $0.5 billion. Poised to be a unicorn, the five-year-old Byju's has set its goal even higher. For Byju Raveendran, who hails from Azhikode in northern Kerala, his village upbringing did him a world of good. He studied in a local Malayalam medium government school where his parents were teachers. A school topper and a local star in football and cricket who participated at the state level, he did his BTech from Government Engineering College, Kannur, near his native place. Within three months of the CZI funding, Byju's raised another $15 million from International Finance Corporation (IFC), the World Bank's private-sector investment arm. The company had earlier raised $75 million (about Rs 500 crore) from Sequoia and Sofina. "Contrary to common presumptions, growing up in a village was a huge advantage for me. Back home, our villages are well-developed and that's where I learned some of the core life skills like how to face challenges and how to make the best of the minimal resources available. It's difficult to naturally learn these things in a protected environment such as today," Raveendran said. He thinks his love for math and passion for sports shaped the entrepreneur in him. A 100-percentile holder in CAT twice, he preferred starting up to joining an MBA school. Byju's is India's largest K-12 learning app and offers programmes for students in classes 4 to 12 and competitive exams such as JEE, NEET, CAT, IAS, GRE and GMAT. It provides students personalised instruction, feedback and assessment using pedagogical methods, data science and machine learning. The company is now preparing to go global and is planning launch its international version of the app in the next 18-24 months. It will primarily target school students in English-speaking countries such as the US, the UK and Commonwealth countries such as Australia and South Africa. Girish Mathrubootham, who holds an MBA from University of Madras and BE from Shanmugha Arts Science Technology and Research Academy (SASTRA) University in Thanjavur in Tamil Nadu, has created a company that may soon become the first SaaS unicorn from India. Chennai-based Freshdesk, the cloud-based customer support software company he co-founded in 2010, has raised close to $150 million so far and was valued $700 million during its last fundraise. In its latest fundraise (Series F), Freshdesk raised $55 million (Rs 366 crore) led by Sequoia Capital India and existing investor Accel Partners. Its flagship product, Freshdesk, allows organisations to support customers through email, phone, websites, mobile apps, forums and social media. The company has acquired seven startups in the last 16 months, including data integration platform Pipemonk, social chat platform Chatimity, social media listening and analytics platform Airwoot, visual collaboration platform Framebench, in-app customer support platform Konotor, social recommendation platform Frilp and video chat software 1Click.io. 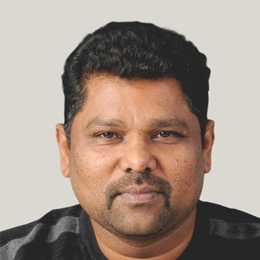 Before launching his startup, Mathrubootham worked with software licensing company Zoho Corporation, another Chennai-based company, where he met his co-founder Shan Krishnasamy. Krishnasamy is an engineering graduate from Thanthai Periyar Government Institute of Technology, Vellore. Freshdesk today serves more than 100,000 clients including 3M, Honda, Bridgestone, Hugo Boss, University of Pennsylvania, Toshiba and Cisco, and employees over 800 employees in offices spread across five countries. It competes with California-headquartered Zendesk Inc, which went public in 2014, and Salesforce.com, which offers customer service tools aimed at small and medium businesses as well as larger enterprises.